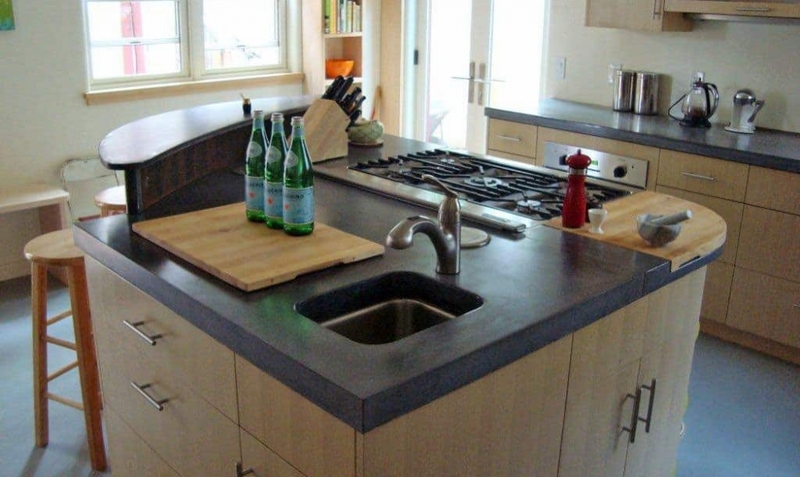 The renovation of this 100 year old farmhouse in Boulder’s historic Mapleton Hill neighborhood features highly custom concrete counters. 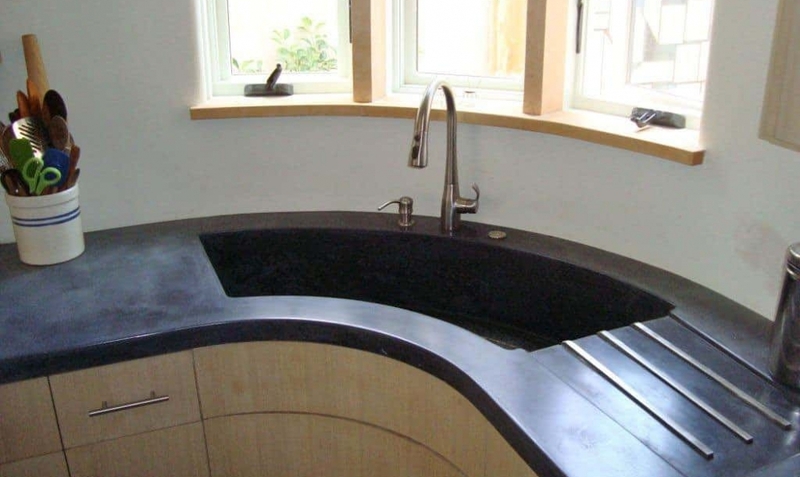 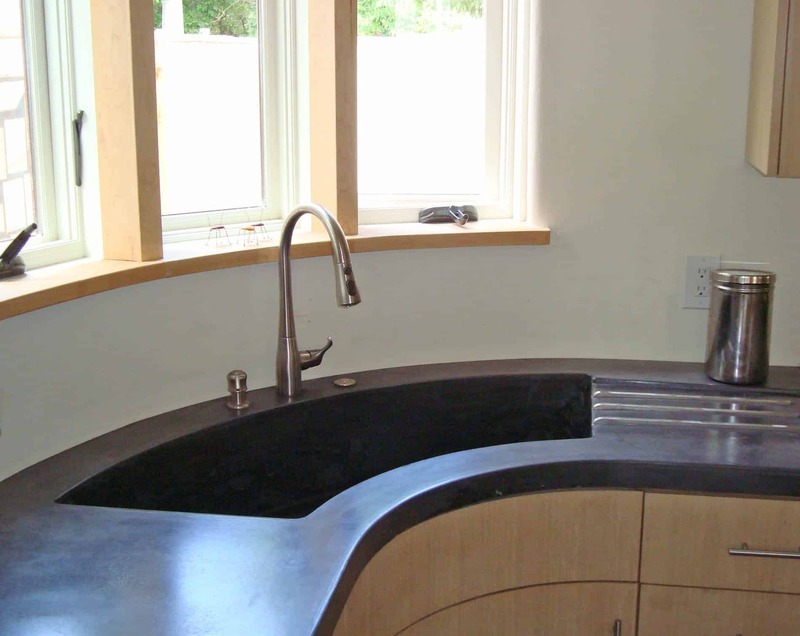 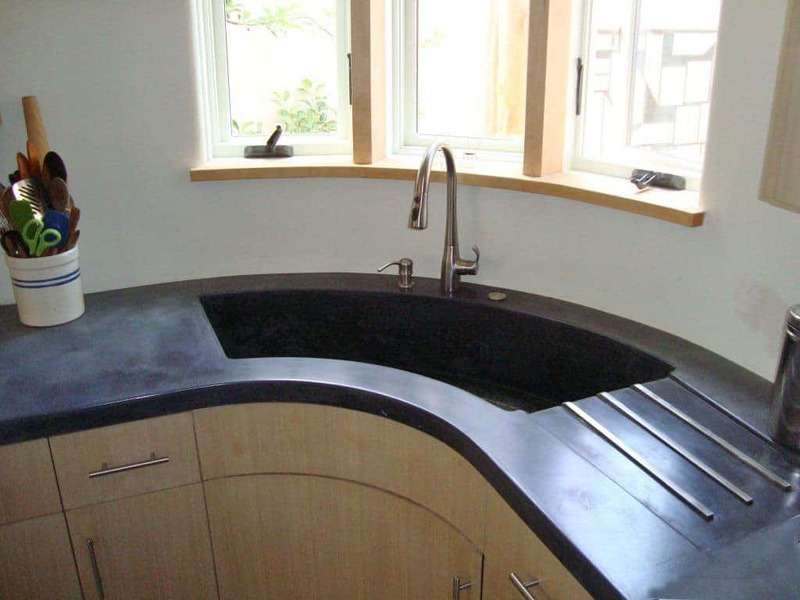 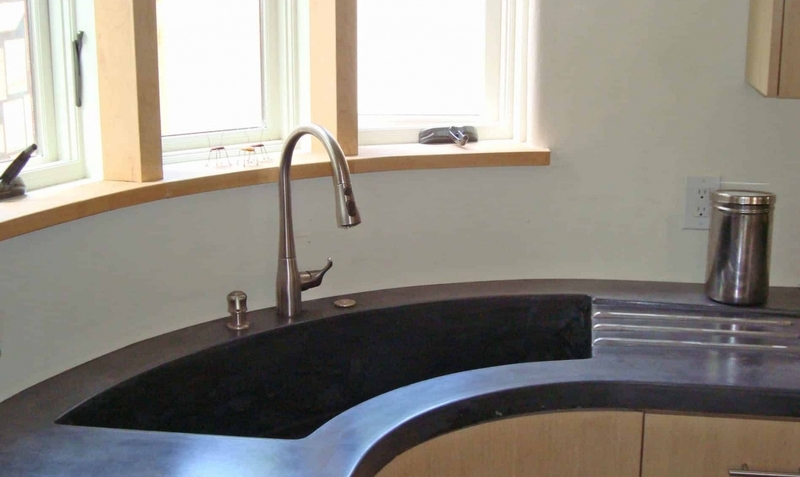 The integral sink is curved to follow the contour of the radiuses wall, cabinets, and countertops. 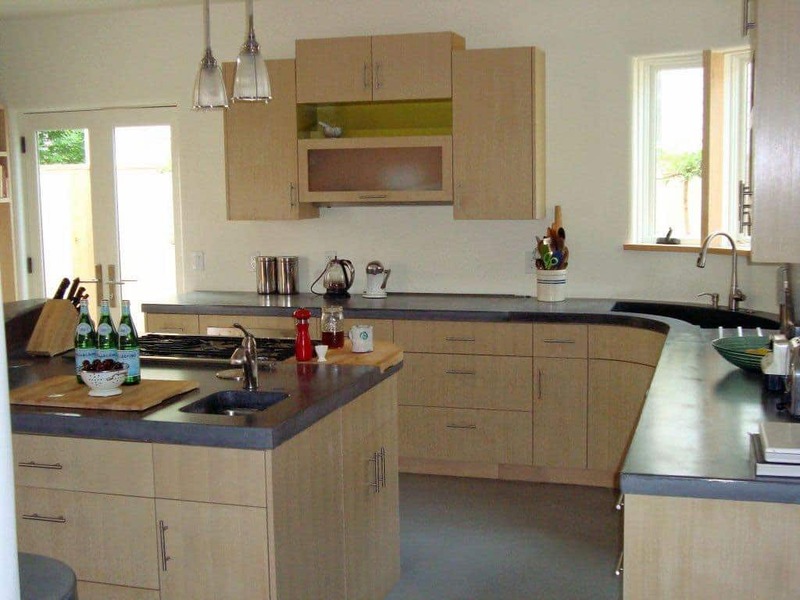 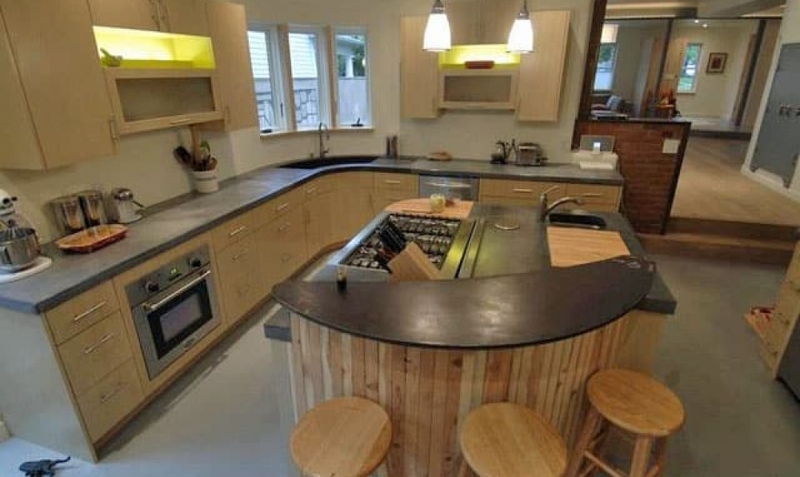 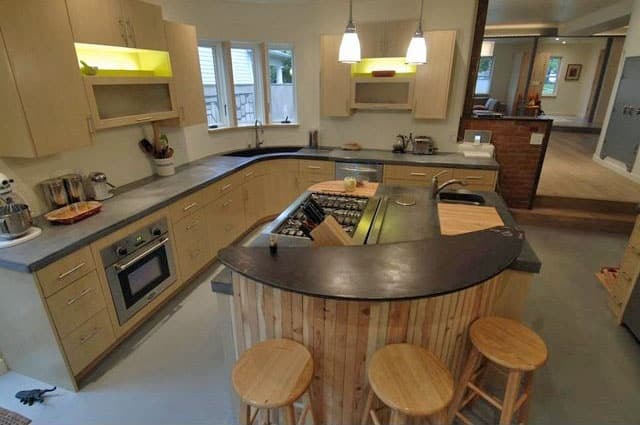 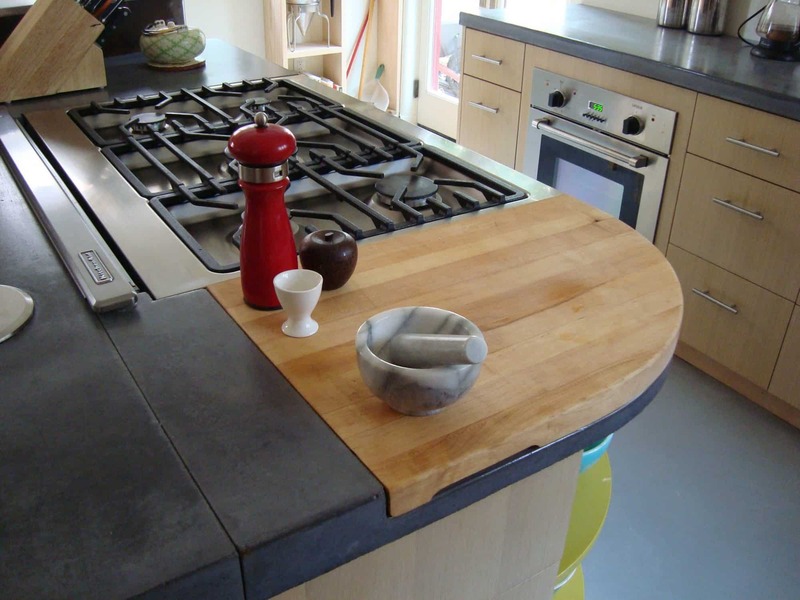 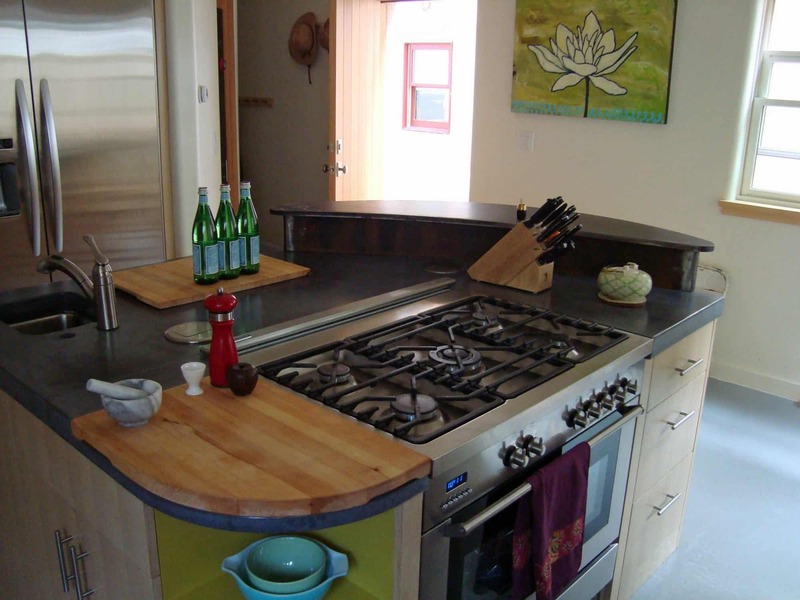 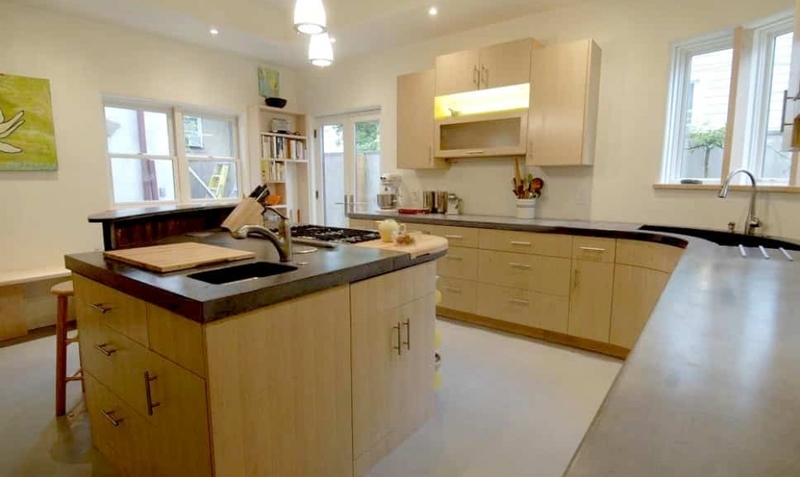 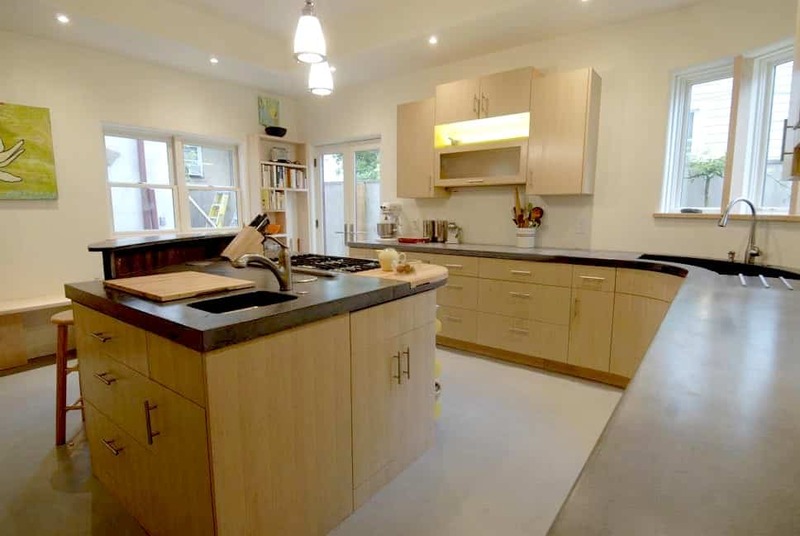 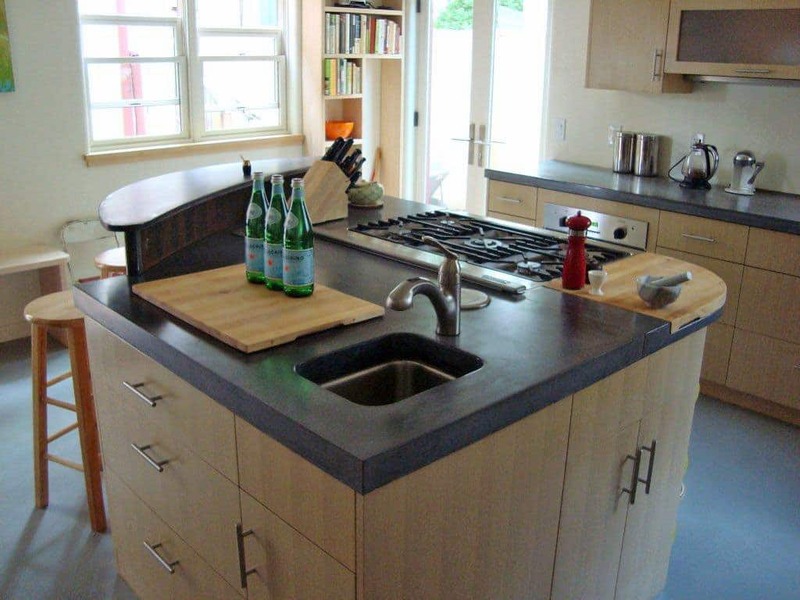 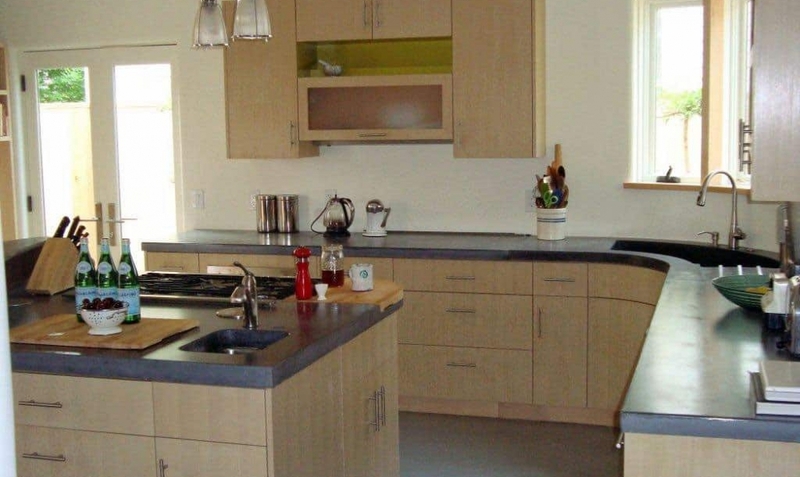 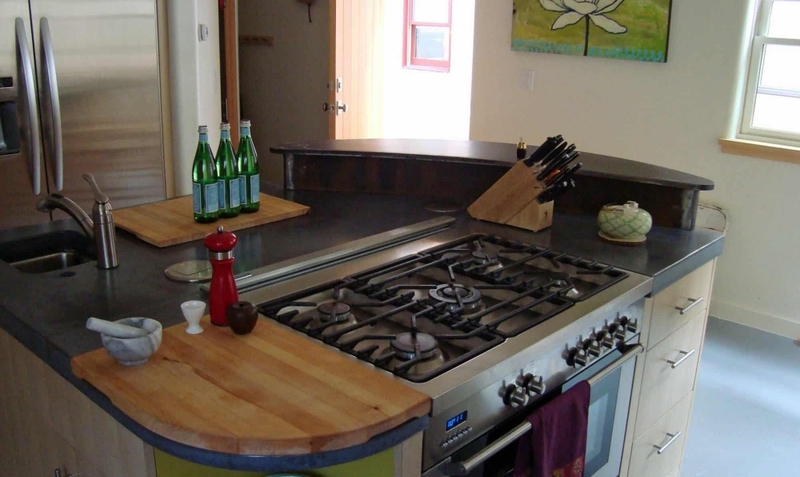 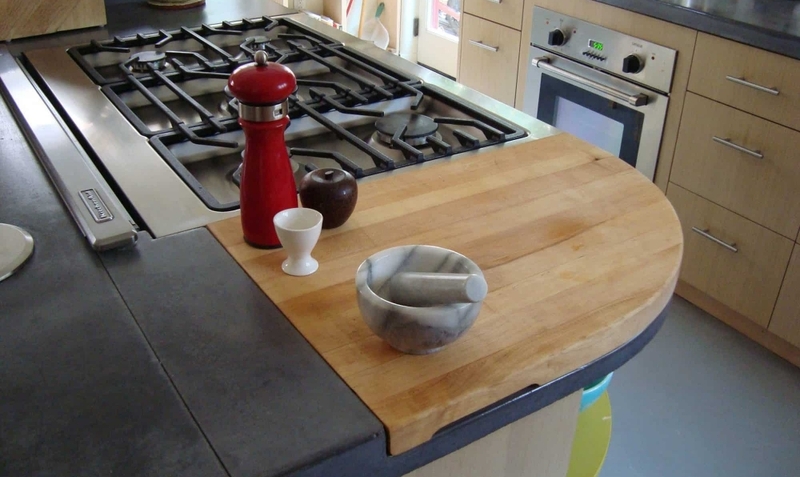 The concrete topped kitchen island contains recesses for two built in cutting boards and a small undercount bar sink.